This was very, very interesting! In Presidents in Crisis, a former director of the Situation Room takes the listener inside the White House during 17 grave international emergencies handled by the presidents from Truman to Obama: from North Korea's invasion of South Korea to the revolutions of the Arab Spring, and from the 13 days of the Cuban Missile Crisis to the taking of American diplomats hostage in Iran and George W. Bush's response to the attacks of September 11, 2001. Where did they get this narrator??? Dan Emmett was just eight years old when President John F. Kennedy was assassinated. 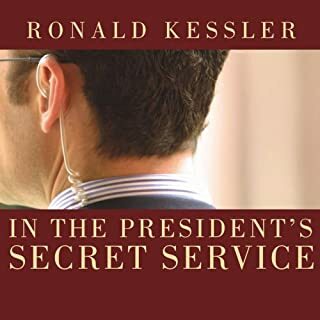 The events surrounding the president's death shaped the course of young Emmett's life as he set a goal of becoming a U.S. Secret Service agent-one of a special group of people willing to trade their lives for that of the president, if necessary. Within Arm's Length is a revealing and compelling inside look at the Secret Service and the elite Presidential Protective Division (PPD). The Presidents Club was born at Eisenhower’s inauguration when Harry Truman and Herbert Hoover first conceived the idea. Over the years that followed - and to this day - the presidents relied on, misunderstood, sabotaged, and formed alliances with one another that changed history. The world’s most exclusive fraternity is a complicated place: its members are bound forever because they sat in the Oval Office and know its secrets, yet they are immortal rivals for history’s favor. Walk with John Adams through the still-unfinished mansion and watch Thomas Jefferson plot to buy the Louisiana Territory. Feel the fear and panic as British invaders approach the mansion in 1814 - and Dolley Madison frantically saves a painting of Washington. Be in the room as one president is secretly sworn in and another gambles away the White House china in a card game. Stand by the presidential bed as one First Lady - covering up her husband's illness from the nation-secretly makes decisions on his behalf. Learn how telephones, movies, radio, and TV changed the presidency - and the nation itself. 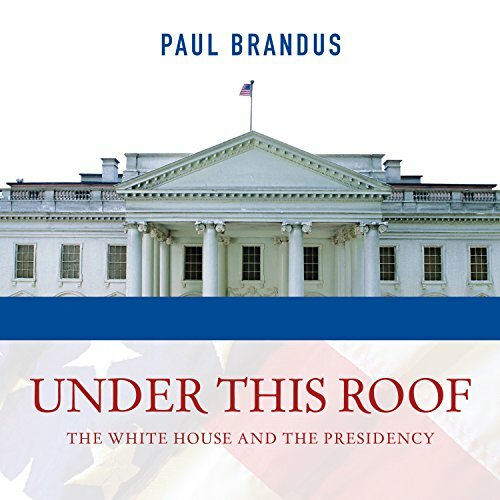 Through triumph and tragedy, boom and bust, secrets and scandals, Brandus brings history to life in this riveting, highly entertaining inside look at the presidency and White House. Good book. Well researched. Definitely kept my interest. 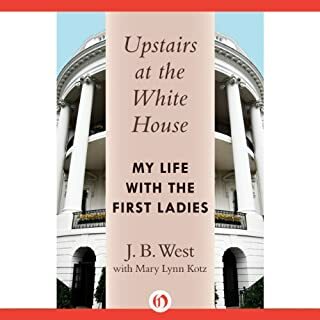 This book is best when it focuses on the White House itself, not on the history of the various administrations. Reading it made me want to visit the White House again. Yes and no. The narrator was not very good at all. The story had potential that wasnt followed up on. What didn’t you like about Tom Zingarelli’s performance? Was Under This Roof worth the listening time? The book is about the White House but got the impression the author is a Reagan fan. That is so boring! He went on and on about Reagan which had nothing to do with the White House itself. Carter got short shrift among others. There is no need to talk about policies and politics - the house itself and the stories contained in the walls so to speak - the personal side. No mention about the staff quarters and other details. From the narrator to the subject matter, this book keeps you listening. If you love history the descriptions are so vivid you can almost smell the White House as it slowly crumbled over the years. 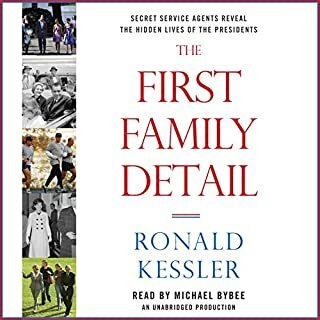 The dedication of the First Families to repair and endure there are a testament to what it means to be a true civil servant. If those walls could talk it would make a great movie. 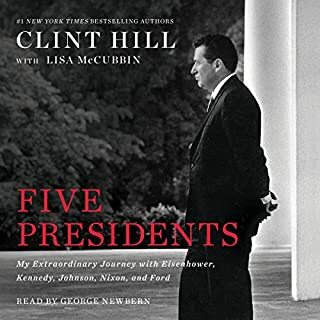 The book moved along quickly and as always I learned something new about a few of our presidents. 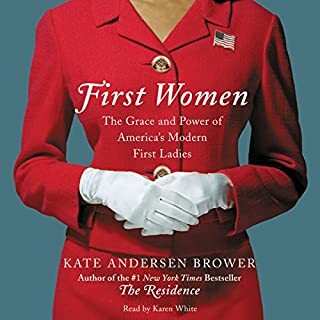 I recommend as an educational tool or just an easy listen to a sad and funny and all of the other emotions we humans have rolled into one book about Our White House. I love this book! So much history is in this book. I learned about presidents whose names I didn't know before. I'm even more enchanted with the White House! The narrator did a wonderful job and was easy to understand and follow along with. Fantastic listen. 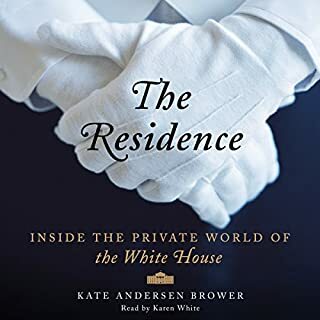 Full of amazing little known details about the White House that are entertaining and inspiring. Bad editing error towards the very end. I hope they catch it and fix it. Otherwise, this is my kind of geeky history. The White House's history is so incredibly interesting. It so perfectly embodies the strength, resiliance, and many imperfections of the country itself. But it has also gotten better over time. More history on the White House. Would you consider the audio edition of Under This Roof to be better than the print version? The information that I had never heard about before. Which character – as performed by Tom Zingarelli – was your favorite? Most of them, though he can't do any accents. Afraid I can't think of one.